The Australian rooftop solar industry is a multi-billion dollar sector, with many companies vying for your business. So amongst all the solar companies, how do you know which one to choose? 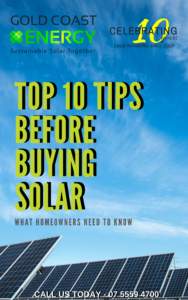 Volume has long been a way of measuring a solar company’s success but there are other factors a consumer needs to look at before making a final decision. Interestingly, while we were researching this article, we came across a few solar quote websites who have previously run “Solar Company of the Year” Awards. What surprised us was that of the Top 10 Australian Solar Companies for 2012, only 5 remain in business! Half of the top businesses gone in just 4 years and in the last 4 years the renewable energy sector in Australia has continued its rapid growth. So how do these businesses get on these lists? Well not surprisingly, they all advertise on these solar quote websites. Doesn’t seem like a fair way to showcase the best solar companies in Australia, does it? When choosing a solar installer, the one thing we come back to is longevity. 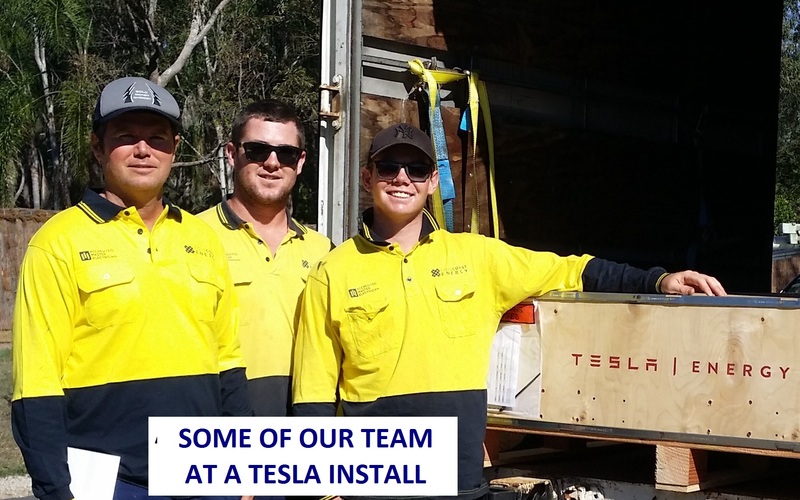 Gold Coast Energy has been installing and servicing roof top solar in SE Qld and Northern NSW for over 8 years. Further research has shown us, the most reputable solar companies across Australia have been in business for approx. 7 -10 years. At 8 years, we are firmly positioned as one of the most established solar companies in Australia. Longevity also means we continue to deliver exceptional customer service and results, as our customers keep referring us to their friends, family or other businesses. We are proud of the high referral rate Gold Coast Energy receives each week. We welcome you to visit our testimonial page, to hear from members of the community. Being established for over 8 years, means we have a good standing with local authorities and local utility companies. 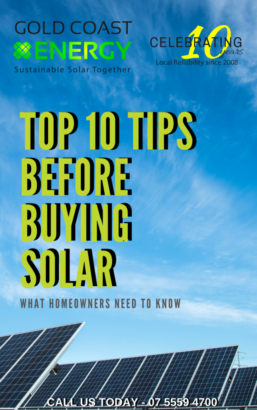 We know all aspects of the local area and any factors that may influence your solar investment. Not only has Gold Coast Energy been serving the local community for over 8 years, our team has been established for this long. Our expert and professional team are able to deliver on your entire job, whether you are looking at household solar or a larger scale commercial project. You don’t need to worry about finding different contractors to complete your project. Lastly, our long standing reputation means we have the experience to know which products are the best and we continue to develop amazing relationships with these companies, so we can deliver the best products at the best prices. We credit Gold Coast Energy’s longevity and success to our superior products, customer service, installation and prices. To experience the Gold Coast Energy difference,or to learn more about which solar system, rebate and incentive would best suit your home or business contact us on 07 5525 2111.